This organic salve can be used as a treatment for a myriad of aliments such as acne, rosacea, eczema, cuts, scrapes, bug bites, rashes, dermatitis, fungal infections, bruises, chafed skin, burns, scars, cold sores-you name it. You will receive the healing benefits of Reiki when you use this alchemic blend of ingredients in this product help to quell symptoms of arthritis, muscular cramps & spasms, promote cell regeneration, and inhibit microbial, bacterial & fungal growth. 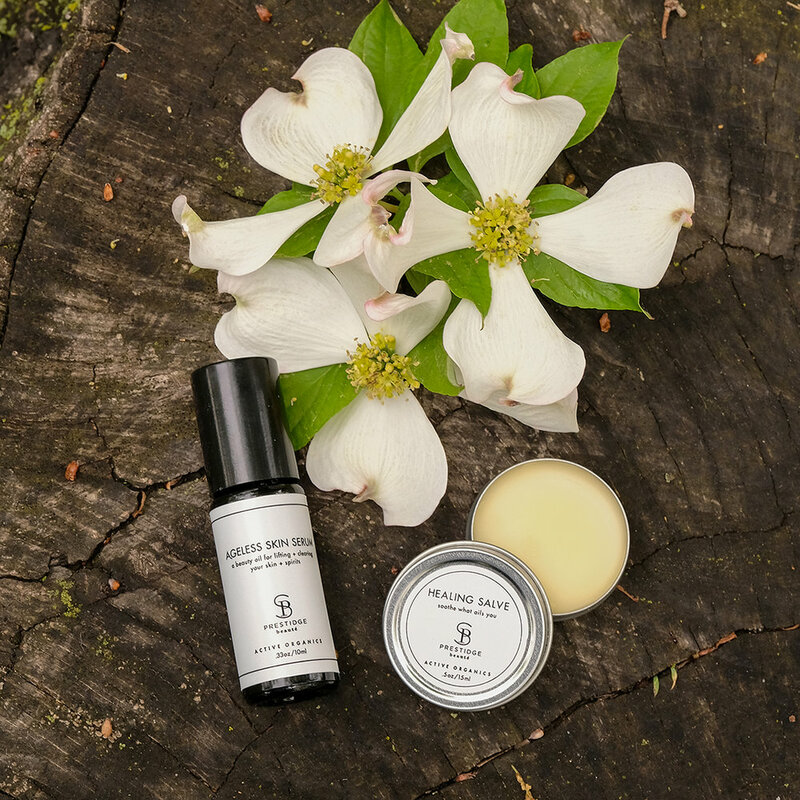 Healing Salve is made with the finest natural, organic and wild crafted ingredients-by hand in small batches to ensure potency and freshness. Simply apply it to the affected area, and appropriately work it into the skin. The more frequent the use, the faster the healing. You can expect to see redness fade within minutes, acne and blemishes disappear within a day or 2, and rashes, cuts and scrapes heal within 4-7 days. Makeup can be readily applied over the Healing Salve when used on the face-it absorbs beautifully rendering a primed-perfect texture.